Hi Daniele! I’m eager to do this interview after some weeks working together at Witnet. Let’s talk a bit about your background so the community can get to know you better. I’ve always been passionate about technology in general and about the internet in particular . I remember when my father brought home a modem when I was 13, in 1994, and my life changed forever . Since then, I’ve been really fascinated about both the hacker culture and the cypherpunk scene. In my teens I used to spend countless hours chatting on IRC and lurking in Usenet newsgroups. I loved to tinker with public key cryptography — it was something truly fascinating for me. Not because I had anything secret or that I didn’t want to share, but because I felt that through cryptography individuals had the possibility to claim radical ownership of their personal space , reducing the coercive power others have over them. I’ve also been building companies since I was quite young. I failed most of the times, but I succeeded enough to keep trying. Finally, in 2016 I started doing my own investing in startups . From that perspective, what did you find most attractive about the crypto space in the first place? As you might imagine, when I first read about Bitcoin in late 2012, everything made sense to me. I felt I was witnessing the initial moments of an historical revolution, one that I had to live in the frontline . Since then, I’ve dedicated 100% of my time to Bitcoin first, and other related technologies later. In this space I’ve done a few things. I ran a mining operation in 2012 and 2013, then I tried (and failed) to create an exchange in early 2013. 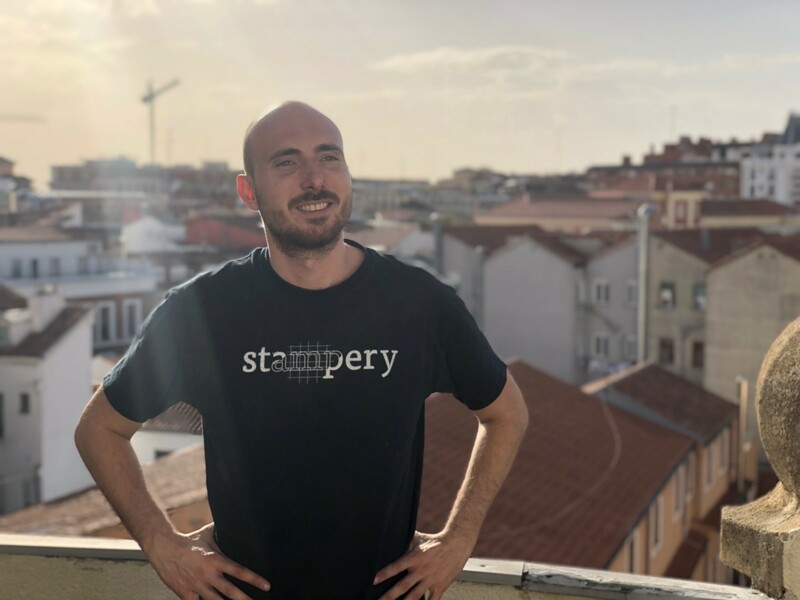 In 2014 I co-founded Stampery . For people who might not know the details, what’s Witnet and why is this technology relevant? Witnet is a decentralized oracle network: a fundamental piece of infrastructure for the future, decentralized internet . Smart contracts are very exciting technology, but they’re missing something crucial: the ability to retrieve information from external data sources in a decentralized way . Right now, smart contracts are either self-referential or they rely on centralized systems for retrieving data. This at best limits their utility, and at worst introduces dangerous points of failure that by themselves invalidate the core value proposals of smart contracts . If we want to deliver on the promise of smart contracts, on top of having a decentralized execution environment we need to be able to feed them information in a trustless way . That’s what Witnet is for. What are the next steps in Witnet’s roadmap you’re most excited about? On the short term, I’m very excited about building and growing the team . The feedback from the community is great and there’s a lot of incredible talent willing to help us to solve the oracle problem. I’m also very driven by the sight of the prototype we’re launching very soon . On the longer term, my dream is to see Witnet empowering smart contract developers all over the world . The crypto ecosystem is flooded with talent. What are some of your favourite projects? I will start with my first love in the crypto space: Bitcoin . To me, It is the best hedge against the failure of the traditional financial system . I see it as an insurance against a dystopic future. Also, as a long term store of value, Bitcoin has no rivals. If you understand that being a decentralized, digital store of value is its main role you also understand that the fact that it is very difficult to change is not a bug, but a feature. Having a reliable digital store of value that is censorship resistant, easy to transfer and transport, and very difficult to seize is radically empowering for people . I’m also greatly into Ethereum . While Bitcoin gives people the opportunity to really take ownership of their money (in a radical way), Ethereum redefines how people do business with each other . A new kind of relationship is possible in which corruption, coercion and extortion are taken out of the equation. That’s exciting. Other projects I like: Lighting Network . I love this approach for scaling bitcoin. We will see if it works as designed, but in any case it’s going to be really interesting to watch. I also like a lot what Aragon and District0x are doing in their fields of work. Another innovation that fascinates me quite a lot is Non Fungible Tokens . The concept of digital, decentralized scarcity will create completely new businesses and creative models we cannot even imagine today. To wrap up, tell us about some things that you like to spend your free time doing! What are your hobbies? I really enjoy music . I was a professional DJ for some years, and I still dj as an amateur today. I buy vinyl records compulsively. Usually not two weeks go by without me receiving some at home or at the office. I have a collection of thousands of electronic music vinyls — especially underground Chicago house and Detroit techno, but also electro or ambient. I also love travelling, reading, enjoying good food, playing chess and spending time with my family .